Aggressive and experienced Algona criminal defense attorneys. If you have been accused or charged with a crime, you should know that you are entitled to certain constitutional rights by the federal government and the State of Washington. 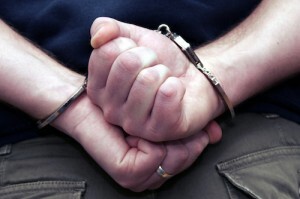 Simply accepting the charges against you is not your only option – you are entitled to an Algona criminal attorney. At the Law Offices of Algona criminal lawyer Jason S. Newcombe, we understand how difficult it is to be charged with a crime. We know that you’re feeling scared for your future, nervous for your trial, and perhaps embarrassed to tell your friends and co-workers that you are in legal trouble. Maybe you’re frustrated with the police for how you have been treated. It is our goal to represent our clients with the respect and fairness that they deserve and without negative judgment. The consequences of being convicted (and in some cases, even accused) of a crime are drastic, and you may feel them for the rest of your life. Being convicted of certain crimes of dishonesty – like forgery, robbery, or embezzlement – can affect your ability to obtain employment or take out a loan, while crimes related to marijuana/drug possession, alcohol, or poor driving can limit your future driving freedoms. Hiring Algona criminal lawyers to represent you in court helps protect your future and keep your record as clean as possible. Additionally, police know that many accused individuals are unaware of their rights – and they are sometimes known to take advantage of defendants who don’t know that they are entitled to consult with legal counsel before speaking to the police. This prevents you from making statements that potentially incriminate you as well as from agreeing to any kind of plea bargain or deal that you are not actually comfortable with. Our Algona criminal attorneys are experts on the Washington State legal system, and we are prepared to help protect your rights and your future and stand up for you in court. Our Algona criminal defense team handles a number of different misdemeanor and felony criminal charges. We take a team approach to each case, working together and incorporating our knowledge of the Washington State legal system into our plans to help build you the best defense available. Our Angola criminal lawyer team is already acquainted with many of the judges and prosecutors who will be handling your trial, and we are prepared to answer all of your questions and make the charges against you plus what they mean for your future absolutely clear. We understand how difficult this is for you – and our goal is to make the experience as fast, smooth, and stress-free as possible for you and your family. For more information on how our Angola criminal attorneys can help you, contact us at (206) 624-3644.